Representing a number of lighting manufacturers, Parish Lighting Solutions, LLC in Lafayette, LA has become the source of various commercial and industrial clients for their lighting products. We do more than just representation and sales. We also offer specific services to make sure that your lighting-related project will be a success. Read through the information of some of our partner lighting manufacturers. 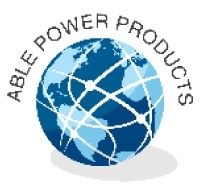 Able Power Products has innovative surge protection for today’s technology. Accord Illumination designs and manufacturers decorative lighting with a unique Brazilian flair. With years of experience designing furniture, Accord has meshed the best uses of light with the aesthetics of quality wood design. Cielux manufacturers high CRI broadcast quality studio and theater lighting as well as premier art lighting. Dyson Lighting creates innovative and design friendly table and floor lamps and architecturally inspired high bays. Faro Barcelona (fans) a Spanish manufacturer who designs luxury fans with a European flair. Nicor Lighting manufacturers a wide range of residential and commercial lighting as well as industrial C1D1 and C1D2 lighting. 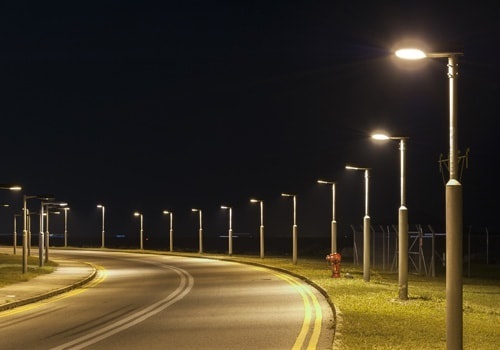 NLS Lighting is a manufacturer of commercial outdoor lighting and poles. Specializes in sports/tennis and automotive lighting. 100% made in the USA. Dark Sky compliant. Signify (formerly Philips Lighting) is a line of products includes architectural and industrial luminaires for a variety of indoor and outdoor applications including offices, roadways, RGB applications, exit and emergency, and controls. The lines include Chloride, Color Kinetics, Day-Brite, Gardco, Hadco, Ledalite, Lightolier, Lumec, and Stonco. Senso Lighting is a Canadian manufacturer of quality LED lighting with an emphasis on design, aesthetics and durability. SPJ Lighting is an American manufacturing company that specializes in outdoor lighting fixtures which are both sturdy and artistic made from solid brass and copper. They strive to create the best in architectural and landscape lighting. Sportsbeams designs, engineers and manufactures some of the best professional broadcast LED lighting for over a decade. Urban Solar manufactures solar power systems and LED lighting solutions for applications including transit, transportation, parking lots, pathway and general illumination applications. Utility Metals manufacturers steel poles and brackets for all your lighting needs. Zlight Technology is an industry leading manufacturing and design organization of high quality LED technology. Zlight offers a full range of residential, commercial, industrial and sign lighting products. In case you have questions or concerns about our partner lighting manufacturers or product selection, simply reach us using the provided contact details. Our knowledgeable lighting sales representatives can provide the facts and figures you need for you to make an informed decision. Call or email us today, and be one of our many satisfied clients.